Primitive neuroectodermal tumor is a small round blue cell tumor with morphologic and genetic similarities to Ewing sarcoma of bone and soft tissues. The tumor is composed of broad sheets of primitive appearing round cells with scant cytoplasm and high N:C ratio. 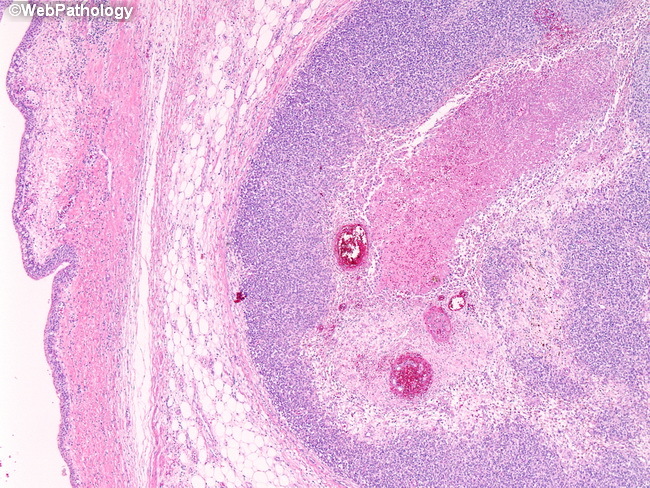 This image shows tumor invading the renal pelvis. The urothelial lining of the renal pelvis can be seen on the left.